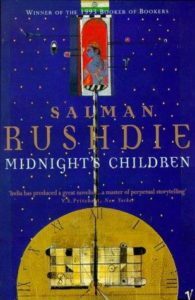 “If I am to do more than describe my pleasure in this book, if I am to summarize and interpret, I would have to start by saying that Midnight’s Children is about the narrator’s growing up in Bombay between 1947 and 1977 (and about the 32 years of his grandparents’ and parents’ lives before that). It is also a novel of India’s growing up; from its special, gifted infancy to its very ordinary, drained adulthood. It is a record of betrayal and corruption, the loss of ideals, culminating with ‘The Widow’s’ Emergency rule. 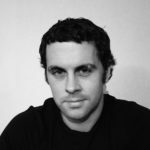 As a growing-up novel with allegorical dimensions, it will remind readers of Augie March and maybe of Gunter Grass’s The Tin Drum, Laurence Sterne’s Tristram Shandy, and Celine’s Death on the Installment Plan as well as the less-portentous portions of V.S. Naipaul. 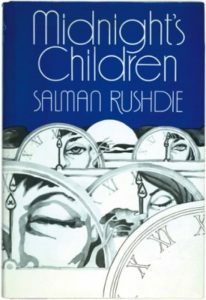 But it would be a disservice to Salman Rushdie’s very original genius to dwell on literary analogues and ancestors. This is a book to accept on its own terms, and an author to welcome into world company. 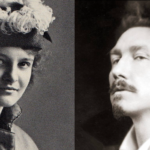 “Yet nothing is predictable—the fantastic and the earthy follow each other about in a comic dance, as do the tragic and the farcical. Rushdie continually plays tricks on the reader … Rushdie himself does not lack that indispensable ingredient of the satirist’s gift—the gift of love, of concern and involvement without which his satire would have little meaning and no tragedy. “Obviously this book is of major interest in Indian readers, and it is tragic to think how unlikely that it will be published, distributed or read in a land that prefers to avert its eyes from the intolerable reality and gaze upon maya, the shimmer of illusion. But Rushdie reminds his readers, ‘Be fair! No body, no country has a monopoly of untruth’ and he quotes from the Urdu piet Iqbal: ‘Where can one find a land that is foreign to God?’ making his book not a national allegory or fable but as universal as the works of Cervantes, Swift, Kafka or Grass. 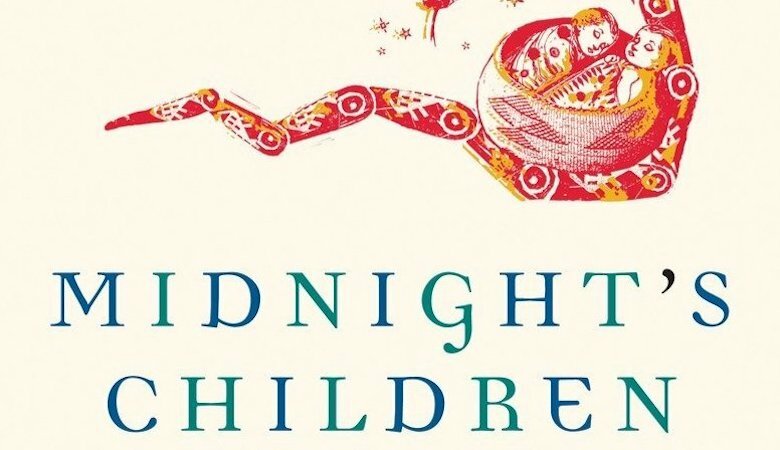 “Though written by a Muslim and concerned at considerable length with the militant (and militaristic) Muslim state of Pakistan, Midnight’s Children impressed me as profoundly Hindu in its sensibility. Confronted by a novel of such size (much longer, because of small print, than the number of pages would indicate), complexity, and originality, the reviewer gropes about for analogies. What came to me is the image of one of those astonishing Indian temples—at Khajuraho, say—that symbolize the ‘World-Mountain’ of Hindu mythology. Whether shaped like an upended cucumber or a pyramid with excrescences, the form of such a temple is often obscured (for Western eyes) by the extravagance of its sculptured surface. The riot of gods and goddesses, hooded cobras, flying nymphs, multi-headed demons, garlanded bulls, elephants, monkeys, and copulating couples point to an aesthetic that, like the religion underlying it, is based upon a principle of maximum inclusion. Beside such a teeming world-mountain, even the most intricately arabesqued mosque appears nearly as chaste and symmetrical as the Parthenon. “The book invokes a bitter plague upon both nations, sparing neither the militaristic jingoism of the Pakistani generals nor what Saleem observes as the hypocrisy, cruelty, and corruption of the Widow’s regime in New Delhi. For India, so hopeful on the day of its independence, has, like Saleem, become prematurely aged, impotent, mutilated, with ominous cracks developing throughout its body. The potential of the magical children of midnight has been systematically cut out.